Until some several years back, basements were more often than not used as kids play zones during rainy or cold seasons, workshops for parents, laundry areas or even storage spaces for items that had insignificant or no more use around the house. Then, and for years, they were ignored-cited as too musty and dark and unlikely to be of any monetary value at least not with that description. Nonetheless, with the stalling of housing sales in recent years and with numerous homeowners staying put as opposed to moving, the idea that the lower house levels could find use as potential living spaces, workstations and even unique spots in the home if renovated basement and for significantly lesser costs than adding extra rooms- basements have become the new thing. When left unattended to, basement spaces are often cheerless and cold spaces used mostly for laundry and storage. Although often underutilized, numerous basement spaces are potentially comfortable living and working spaces if carefully molded and designed you just need to be ready for all the costs and hard work that comes with the remodeling. There are numerous reasons that would lead homeowners to decide on basement renovations. Needing a kids playroom, extra office space, or accommodation of a grown up youngster just back home all make genuine reasons to mandate for underground space renovation. Basements can also serve as reliable and amazing wine cellars, entertainment rooms and even home theaters. Moreover, with the stalling home sales, they are also a wonderful way to make money through renting out. In the recent years, the popularity of Basement houses has sky-rocketed. Not only do they boost home value, but they are also great ways of enhancing living spaces. If you are thinking of expanding the space in your home to accommodate a growing family or just looking to find extra space, why not design your basement to suit your needs? The basement is the most neglected section of most homes although this is never always the case. 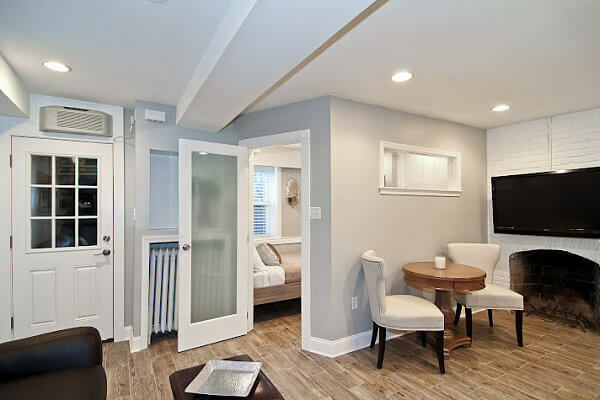 There are numerous basement apartment ideas and designs that you use in transforming the damp and dull space into added space for your preferred use. In comparison to adding a new room or purchasing extra rooms in your apartment, renovating and designing your basement can be quite cheaper. What’s better, they are accessible-look below the house and design it how you want! 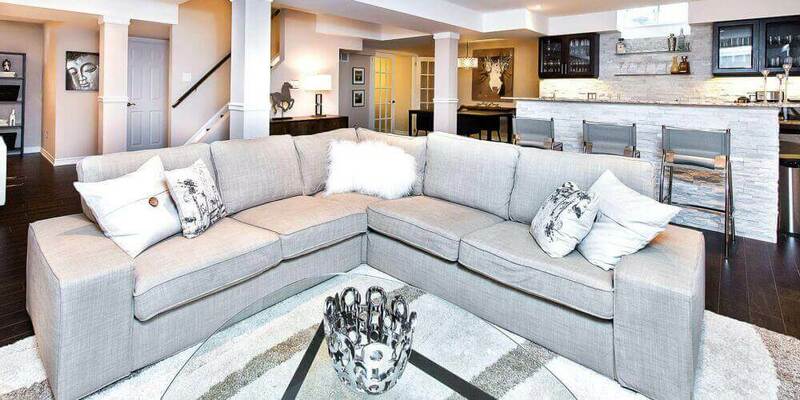 Deciding on how the basement will be used will determine the exact design approach you adopt. There is never a correct or incorrect way to repurpose and redefine your space. However, to maximize the space and ensure proper use, it is important to consult several basement apartment ideas for a better picture of how to best utilize the space. 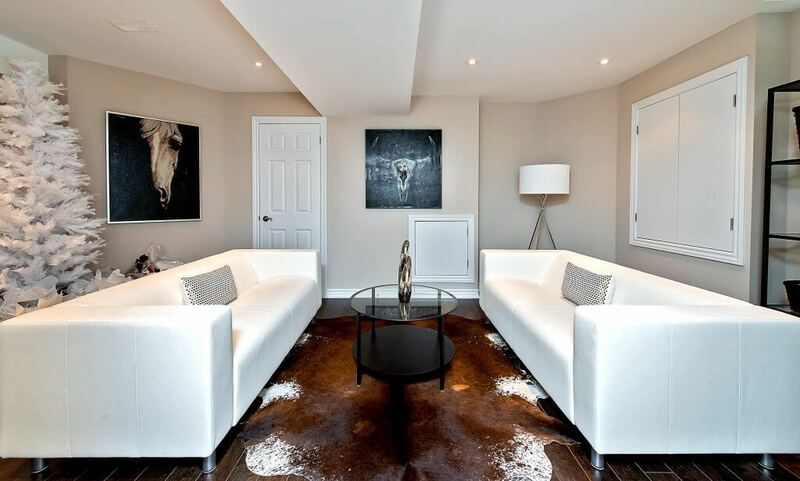 Basement apartments are an amazing way to transform any home. There are numerous wonderful ways which you can use to transform a typical basement into an inviting and pleasant living area. When transforming your basement, there are several tips you need to have in mind in order to create that ideal apartment. Don’t hesitate to apply colors in the basement apartments. More often than not, these spaces are simply gloomy and dull. With light colors, the area can appear larger. You can go for light-coloured walls, brightly colored rugs and even floral-print covers for the windows to enlarge this space and subsequently keep it looking lively. For an affordable way, you can go for blooming plants since their blooms have the color. Additionally, some types of herbs provide a simple light fragrance and an all-year beautiful bloom. Depending on your plan for space, you can establish separate sections to cater for diverse activities. One section can, for instance, be dedicated to entertainment while the other can be allocated for grooming. You can segment the space using light-coloured screens, curtain dividers, and even beaded earth-tone curtains. Separates sections to suit different activities will not just provide much-needed privacy, but will also give you the feeling of an actual apartment’ rather than a typical large room’. Dividers such as the curtains can significantly lower costs if you are cash-strapped since they are removable where the basement is needed for other purposes rather than establishing a permanent wall. Mirrors are wonderful accessories that can be added to the apartment walls to compliment the room. With a mosaic or simple large mirror, you can effectively open up your living area. Mirrors can also be decorated using glass paint or colorful decals on their edges to enhance the atmosphere of the apartments. One of the most interesting and fun additions to a basement apartment space is a typical free-standing bar. It is best placed parallel to a wall particularly in the exclusive entertainment area. You can erect mirrors on this wall then have several bar stool seats with foot and back rests. This can transform the space into a wonderful sitting and converging place for chats with individuals while on your computer. Likewise, you can also choose to add a mini-fridge and a microwave (small) to create a small eating area. If the apartment’s main area has a wall space, a mantel and faux fireplace can be set to inspire a comfy atmosphere. Here, you can bring in a stereo, computer or even television for your entertainment. Compliment this with several beanbag seats having earth-tone colors and a complimentary and matching rug and you create a pleasant area where you can relax and entertain your visitors. The overall layout of a basement has the capacity to be numerous diverse types of rooms, all dependent on your requirements both for now and in the long run. Although it is generally quite tempting to design basement spaces for current needs and uses, it would be an unwise move not to take into account the future. For instance, while a playroom may work effectively well for your kids at their tender age, they are bound to grow up and as such, it would be wiser if you may be designed it in a manner that can easily allow it to be transformed later into, say an entertainment room. For room areas, a typical basement area can assume several purposes such as TV kids rooms, Movie Theaters, Offices, Entertainment areas or even as laundry rooms. Depending on your individual needs and family needs, you can allocate different purposes to the various different rooms created. Not only will the aspects of the basement space dictate the overall architectural choices, but they also play a significant role when you are selecting the flooring. Factors like cooler temperatures, higher humidity levels or even the amount of light when compared to the entire house also need consideration. Hard wood: Chic, elegant and timeless, wood floors are a wonderful addition to a room not just for their ability to boost home value, but for their aesthetic properties that accentuate the overall look of the house. If you go for Hardwoods, be sure to have a look at eco-friendly and exotic woods such as bubinga and bamboo. Vinyl: Available in diverse pattern ranges, textures and colors, vinyls are wonderful accessories. Some of the vinyls perfectly imitate typical tiles, woods and stone that it is difficult to pin-point exactly which is which. Why? They look exceptionally genuine that they give a rich feel. It is fairly long-lasting (7 years) and works perfectly for office and guest rooms among other rooms. Carpets and rugs: Soft and warm to your feet, carpets are great options but only if the owner or members of the house do not suffer from allergies or asthma. When there is humidity, they can be removed. When designing basement apartments, there is one important design element that is often neglected-ceilings. To boost the appeal and atmosphere of your basement, suspended ceilings are the best choice since they give the basement a complete finish look. The market is stocked with different types and their advantage is that repairs on other works on electricity and plumbing can be completed devoid of demolishing the ceiling. The purpose to which the basement apartment has been establishes determines the furniture requirements. If it is set aside a bar and relaxation place, the apartment can have several bean-bag seats and small cabinets to hold the drinks. And In case it is designated as a wine cellar, it can have several cabinets for the storage of drinks. In general, the cellar is not a key representative house section and in most cases accommodates store rooms, boiler rooms, workshops, pantries and even laundry rooms. However, with smart design and planning, these spaces can subsequently be transformed into superb family rooms, playrooms, bedrooms etc. Laundry Rooms: they can look beautiful and elegant in small rooms. You can use light-coloured palettes in order to create a tidy atmosphere. Home Gym: This is a wonderful place to set it. You can also include a small-sized sauna adjacent to the gym to create a home health centre. Space to follow hobbies: Some of our hobbies need isolates places for efficiency. As such, the small basement apartment can work as a simple workshop or a music room for practising instruments and song writing. Recreation and Entertainment: Small basement apartments can provide a pleasant atmosphere for entertainment and recreation such as TV rooms and play rooms or even for as gaming areas such as pool. Office space: If you are among the several individuals that like to work at home, small basement apartments can serve as a quiet hideout far from the noise and distractions from the main house. It is very easy to get advice and tips on how to best decorate virtually every part of your house. Living room, kitchen, bathroom, bedrooms-even closets receive momentous attention! But for the deprived basement, they often receive short shrift. Such subterranean spaces pose serious decorating challenges ranging from limited lighting, low ceilings and unending battles with flooding and dampness. Basements are characterized by shortage and limitations when it comes to natural light. You can spark some light in your basement apartment through using a lot of whites and muted colors. You can also fix ultra-white ceilings in the rooms to facilitate the bouncing of light throughout the entire apartment. It is commonly agreed by numerous decorators that basements are ideal spots to practice bold decorating. Why? They are fitted with decades-old vintage pieces and paneling. Rather than getting rid of them, why not accentuate and amplify them? Go and experiment with diverse colors that you don’t commonly use. Take a stroll to most of the houses that have basements and one thing will stand out, they are fitted with conventional drop-down ceilings. It is perfectly practical because it facilitates easy electrical and plumbing access. However, these ceilings are generally unattractive with cheap looks. It is best recommended that you go for the high-end type of ceilings that pay exceptional architectural detail, although they are highly expensive compared to conventional drop-down ceilings, they nonetheless accentuate the house appeal and give it a sophisticated look. And better yet, they are DIY. You can also go for metal tiles (stamped) since they give the apartment a vintage school Victorian appeal. 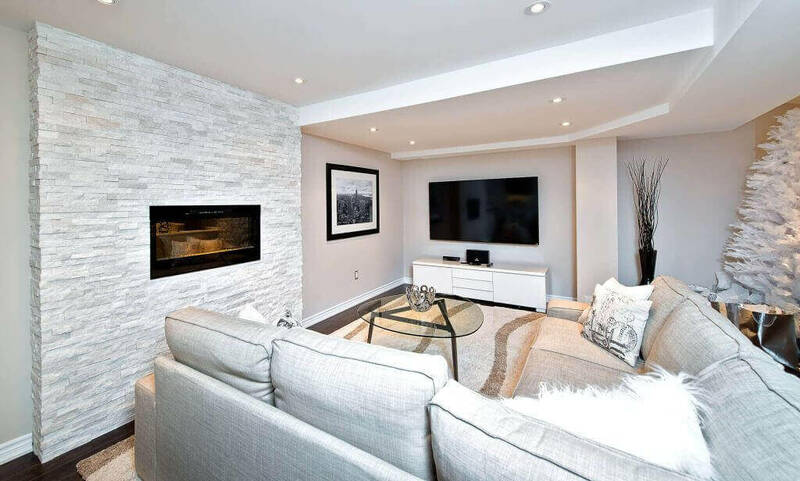 Remodelling or redesigning a formerly dull and gloomy basement space into a magnificent basement apartment is among the most significant investments you can make with relation to home improvement. Whether you need extra space for personal use, family activities, to house a growing family or even to rent out, improving your basement is a wonderful way to optimize on the space around your home. With these several tips and ideas, you can effectively transform your underground space for comfortable living or even accommodation without necessarily spending significant amounts of money.